According to a new report from the International Atomic Energy Agency (IAEA), the long-term potential for nuclear power remains high, although its global expansion is projected to slow down in the coming years. The International Status and Prospects for Nuclear Power 2017 report suggests that the current decline is due to the early retirement or lack of interest in extending the life of nuclear power plants in some countries, the reduced competitiveness of nuclear power in the short-term, as well as changing national nuclear policies following the accident at the Fukushima nuclear power plant in 2011. The report says the use of nuclear power could be enhanced if its potential as a low-carbon energy source grows in recognition, and if advanced reactor designs further improves safety and radioactive waste management. “In some countries, concerns about climate change provide an incentive to support continued operation of nuclear power plants, or are part of the argument for a new build programme,” said Mikhail Chudakov, deputy director general and head of the department of nuclear energy. The IAEA’s projections for global installed nuclear capacity in the highest case scenario indicate an increase from 2016 levels by 42 percent in 2030, by 83 percent in 2040 and by 123 percent in 2050. Lowest case projections indicate a decline in capacity by 12 percent in 2030 and 15 percent in 2040, before rebounding to present levels by 2050. Significant decline in nuclear power capacity is forecast in North America, as well as northern, western and southern Europe, with only slight increases in Africa and western Asia. Significant growth is projected in central and eastern Asia, where nuclear power capacity is expected to undergo an increase of 43 percent by 2050. The low projections through to 2050 show no net growth in installed capacity. Despite this, even in the low case, some 320 GW of new nuclear capacity will be installed by 2050, making up for the loss caused by retiring reactors. Global electricity demand growth continues and is mainly driven by emerging economies. There are 28 countries interested in introducing nuclear power, says IAEA. 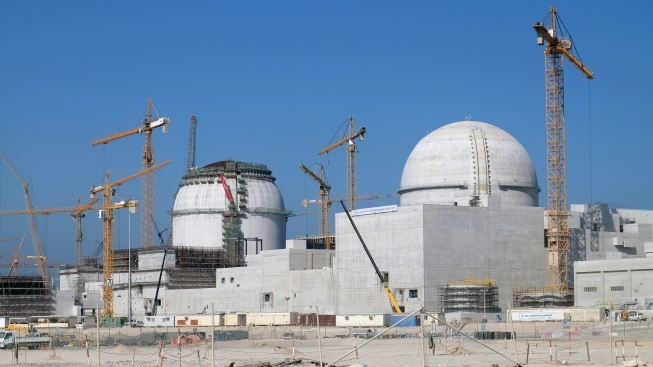 Of the 30 countries already operating nuclear plants, 13 are either constructing new ones or are actively completing previously suspended construction projects, and 16 have plans or proposals for building new reactors.